Amborella trichopoda, a plant endemic to New Caledonia, is helping researchers with the Amborella Genome Project shed light on Darwin’s abominable mystery. As a scraggly understory shrub with inconspicuous flowers, Amborella trichopoda’s humble appearance belies its important place in evolution. If you put all flowering plants on an evolutionary tree, Amborella is on a long branch reaching back to the base of the tree. Being such an ancient relative to all other flowering plants allows researchers studying Amborella’s genome to assess how its chromosome structure and gene content compares with the genomes of other angiosperms. In this way, scientists can peer into the genetic toolbox of ancestral flowering plants at an early stage in angiosperm evolution. Scientists with the Amborella Genome Project (AGP) recently completed a draft genome sequence for Amborella. Researchers around the world are already using these data to understand how the birth of new genes and the modification of old ones contributed to the origin of the flower and to the ultimate evolutionary success of flower plants. This family tree presents a selection of well-known plants arranged according to their evolutionary relatedness and age of diversification.The ancestors of plant families located on the tree’s lowest and “inner” branches evolved earlier in the history of plants than those found on the upper and outermost branches. Plants located along a branch are more closely related to each other than to families on different branches. To understand the significance of AGP’s work it’s helpful to know something about the evolution of flowering plants. As this timeline shows, flowering plants are evolutionary late-comers. They, however, diversified and spread with a rapidity that Darwin found confounding and scientists are still trying to understand. We still do not know what kicked off the Big Bang in flowering plants, or why angiosperms blossomed into such an astonishing array of species, or how they were able to spread into nearly every habitable environment. Scientists, however, do have many hypotheses about why flowering plants flourished. The origin of the seed, a plant embryo provisioned with food and a little protection, was a major innovation that arose in an ancestor of flowering plants and their cone-bearing gymnosperm relatives. As described below, the origin of the flower brought further innovations to plant reproduction, which seem to have contributed to the phenomenal evolutionary success of angiosperms. Wind-pollinated gymnosperms like this conifer produce a great deal of pollen. Flowers and their Animal Companions Angiosperms evolved a number of structures absent in gymnosperms. The most obvious is the blossom that we associate with flowering plants. Flowers, of course, vary enormously, from the large nodding heads of sunflowers, to the wispy blooms that feather the ends of grasses, to all the cunning forms of orchid flowers. 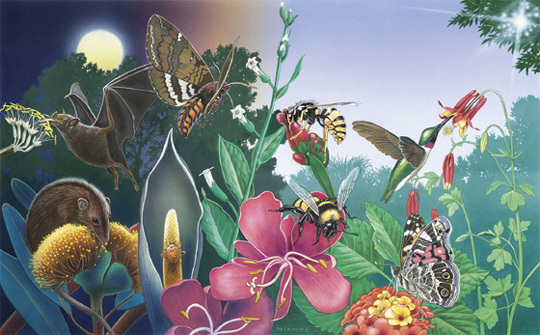 Many flowers have colors and shapes that attract and guide animal pollinators. Gymnosperms on the other hand depend almost entirely upon the wind to carry their pollen to plants with female cones. 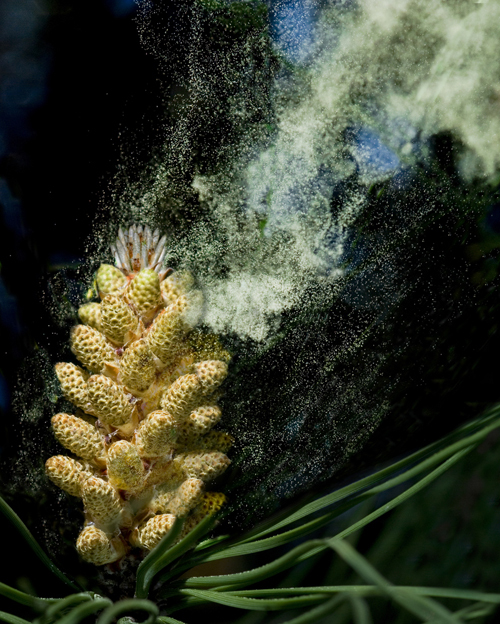 Because the wind is a pretty unpredictable, gymnosperms compensate by producing lots of pollen. Creatures drawn to flowers, on the other hand, get smudged or deposited with pollen, and because they were rewarded (e.g., in pollen, nectar, oil, scent compounds) they tend to visit other plants with the same flowers, delivering pollen from one plant to another. With this efficient pollination strategy, angiosperms need not blanket the world in pollen, which is a pretty costly production. Angiosperm roughly translates “seed in a vessel.” Seeds in flowering plants develop inside an ovary, which lies inside the carpel. The cooperative relationship between flowering plants and pollinators is not the only evolutionary adaptation that separates them and their non-flowering, cone-bearing relations. (In fact, not all angiosperms have animal pollinators; grasses, for example, are wind pollinated.) 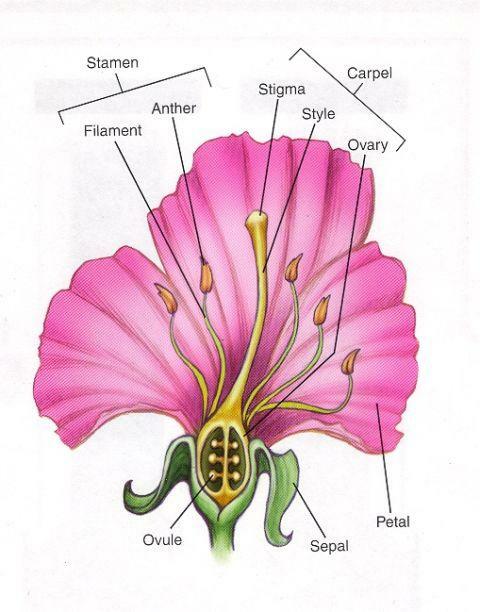 The word angiosperm means “seed born in a vessel,” while gymnosperm means “naked seed.” The seeds of flowering plants develop in the enclosed ovary located inside a flower’s carpel, which, you could argue is the hallmark of angiosperms. Once the ovary is fertilized, the carpel and some surrounding tissues develop into a fruit. This fruit is often attractive to animals that disperse the seeds. Angiosperm seeds are also more resilient than gymnosperm seeds. As the seeds of flowering plants are more likely to be picked up by animals and are better equipped to survive the trip, the adaptation of the carpel it thought to have contributed greatly to the worldwide spread of angiosperms. Flowering plant seeds in many cases are encased in fruit attractive to animals who helpfully disperse the seeds. 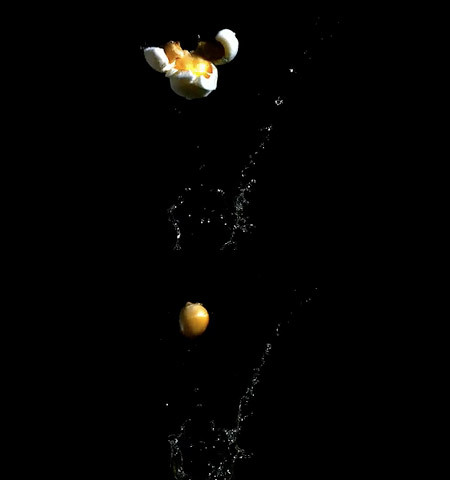 The starch and protein inside a popcorn kern turns into a the crispy puff so many of us love. Endosperm: What the World Eats The seeds of flowering plants also have the benefit of an endosperm, a nutrient-filled tissue that sustains the growth of the embryo. Depending on the species, the endosperm is packed with starches, proteins, lipids, or oil. In fact, endosperm is what pops into the marvelous white stuff of popcorn as well as the milky liquid that pours from a split coconut. The endosperm forms the bulk of what’s in rice, wheat, oats, corn and other grains, and provides humans with two out of every three calories consumed worldwide. 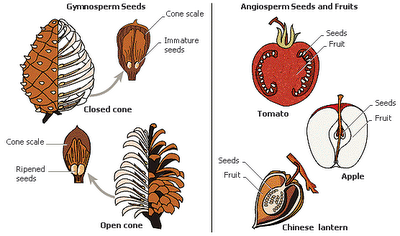 Gymnosperms also have a nutrient tissue, and some can even be said to have an endosperm; however, in angiosperms the endosperm develops rapidly following pollination. Double Fertilization: Synchronized Growth and Nutrition The endosperm is initiated by another important angiosperm innovation called “double fertilization.” In flowering plants, each pollen grain produces two sperm: one fertilizes the “egg” and becomes the plant embryo, and the second sets off the growth of the endosperm, a nutritious tissue that fuels the embryo’s growth. Gymnosperms also have nutritive tissue in their seeds, but this is prepared well in advance of fertilization, and at a much slower rate. Should fertilization fail to occur in a gymnosperm, all the resources devoted to making this rich tissue is wasted. 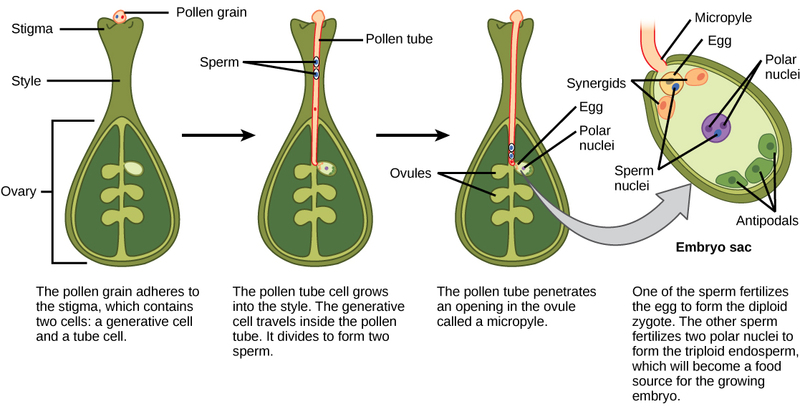 Double-fertilization kicks off a comparatively accelerated development of the endosperm, and by synchronizing it with the fertilization of the embryo, angiosperms avoid potential waste. Thanks to double-fertilization, an embryo plant and its food source begin life at the same time. On the other hand, gymnosperms lay in its nutritive tissue before fertilization, which wasted in the event that fertilization fails to occur. Improved Water Delivery Evolution also yielded some changes to the vascular system of flowering plants. Both gymnosperms and angiosperm have tissues that transport water and important minerals from roots to leaves. Gymnosperms have tracheids, while angiosperms have vessels, which move water more efficiently. As we know from growing our own plants, three elements are essential to their growth: soil, light and water. So you can imagine that if a plant is better able to uptake and distribute water, it will be able to grow more quickly. The Rise of the Angiosperms Generally speaking, angiosperms have the advantages of efficiency and conservation of resources over gymnosperms. Gymnosperms are also woody and slow growing, while many flowering plants are herbaceous and fast growing. Angiosperms tend to have short reproductive cycles, while gymnosperm reproduction can be quite lengthy. 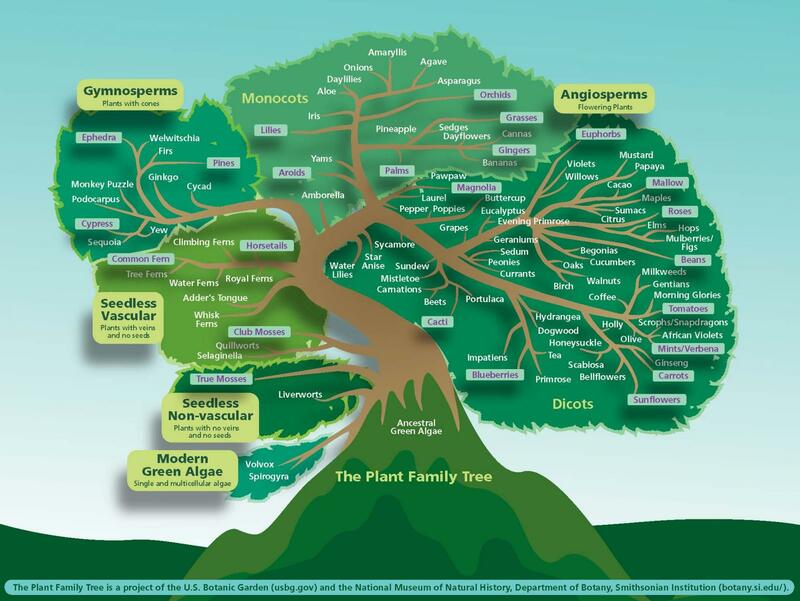 This simplified roundup of the highlights of angiosperm evolution is not a complete list of evolutionary changes seen in angiosperms, nor does it mention other important factors like climatic change. Nevertheless, flowering plants were somehow able to not only adapt to a changing world but thrive—surely in no small part to their newly evolved features. Their spread over the planet is considered one of Earth’s greatest terrestrial radiations. Meanwhile, gymnosperms were very much on the wane, with many species and entire lineages disappearing. Today there are roughly 250,000 known flowering plant species (with perhaps twice as many yet to be identified), while there are only 750 species of gymnosperms. 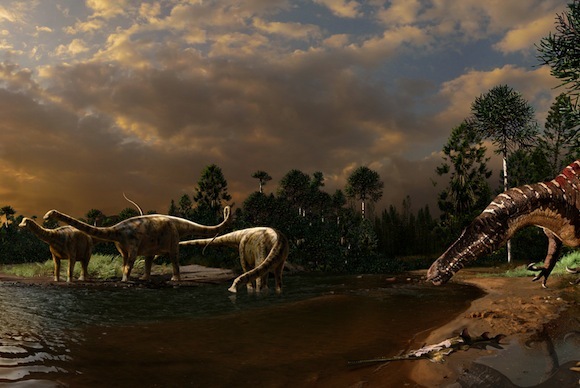 While the dinosaurs are not longer with us, descendants of ancient gymnosperms, like the araucarians pictured here, persist — albeit in greatly reduced numbers. As the gymnosperms declined, angiosperms exploded into dominance. Where Does Amborella Fit into Angiosperm Evolution? Amborella’s lineage diverged from other angiosperms around 130 million years ago, sometime after the first flowering plant appeared. Amborella has all of the defining features of a flowing plant, but at the same time it seems to have retained some “gymnospermy” characteristics as well. For instance, it lacks the vessel elements for water conduction present in most other flowering plants. Also, while Amborella has carpels, they are incompletely closed. This is significant because the carpel is thought to have originated from a flat, leaf-like structure with ovules on its margins. This structure eventually rolled inward and became enfolded, creating a hollow, enclosed ovary with one or more ovules. Early angiosperms probably had carpels that were not quite fused shut but were sealed with secretions from the carpel, which is the case with Amborella. Although Amborella’s physical traits “bridge” gymnosperms and all other angiosperms, scientists with the Amborella Genome Project eschew referring to Amborella as the “missing link” since it is not itself a “living fossil” or the first angiosperm ancestral to all others. Rather, Amborella is the sole extant species of an ancient angiosperm lineage (Amborellaceae) that appeared sometime after the first flowering plant line diverged. Amborella’s evolutionary position, then, is less the “missing link” between gymnosperms and angiosperms and more the “last man standing” in an ancient lineage of flowering plants that reaches back 130 million years ago to the most recent common ancestor of all extant angiosperms. Nevertheless, among angiosperms Amborella trichopoda is closer to gymnosperms than any other living flowering plant. Scientists have long wondered which was the earliest diverging flowering plant lineage in the angiosperm tree of life, but it was not until 1999 that, thanks in part to advances in DNA sequence analyses, Amborellaceae with its single species was determined to hold this place in evolutionary history. Reconstructing an Evolutionary Success Story More than 130 years after Darwin made his “abominable mystery” comment, the angiosperm “Big Bang” remains mysterious. We can speculate about how angiosperm innovations gave flowering plants an evolutionary “edge,” but we don’t know why this cascade of innovations began or why they came in quick succession. Today, however, we do know quite a few things that were unknown in Darwin’s time. For instance, it is now common knowledge that development of an organism’s traits is governed by DNA. If flowering plants change over time, then changes in their genes must have occurred. Therefore, the place to look for answers to our questions about angiosperm evolution is in the genes of flowering plants, and this is where Amborella’s genome comes in. The draft genome sequence completed by the Amborella Genome Project provides a reference for comparison of all flowering genomes. Comparisons of Amborella’s genome with those of other flowering plant species are revealing hints about the first set of DNA-encoded instructions on “How to Make a Flowering Plant.” With Amborella’s genome as a point of comparison, researchers can reach back to the 130 million year old ancestor of all extant flowing plant lineages and begin answering questions directly related to Darwin’s abominable mystery. For instance, how did new or re-purposed genes contribute to the evolution of novel features (e.g., vessels, double fertilization) and how have these genes and their regulation changed to promote flowering plant diversity? With the sequenced genome of Amborella, researchers have a Janus-like view of evolutionary time. 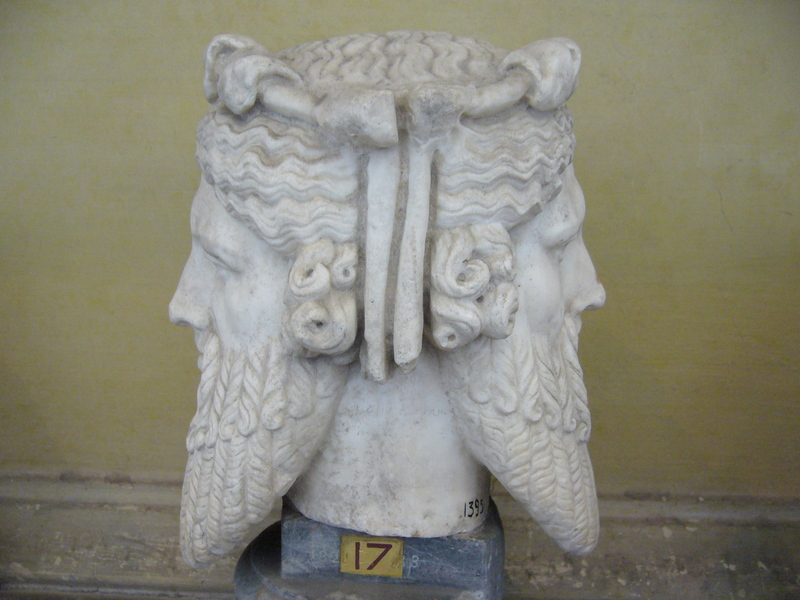 Janus, the Roman god of beginnings and transitions, has two faces, one looking into the past and the other into the future. The genome map gives researcher’s this vantage point to view evolutionary change in flowering plants as they progress forward in time from the last common ancestor of all extant flowing plants, and also backward in time, toward the first common ancestor of all flowering plants, and beyond, to their gymnosperm progenitors. By comparing gymnosperm genes with those of Amborella, researchers gain insight into how the genes that shaped and controlled the growth of cones, for example, were modified to shape and control the growth of flowers. Moreover, to imagine what that first flowering plant was like, researchers can use Amborella’s mapped genome to triangulate between gymnosperms and Amborella to draw a speculative portrait of the first angiosperm. As more plant genomes are compared and more fossils of early flowering plants are discovered, that portrait will only come into greater resolution. Whole Genome Duplication: The Short Fuse to the “Big Bang”? 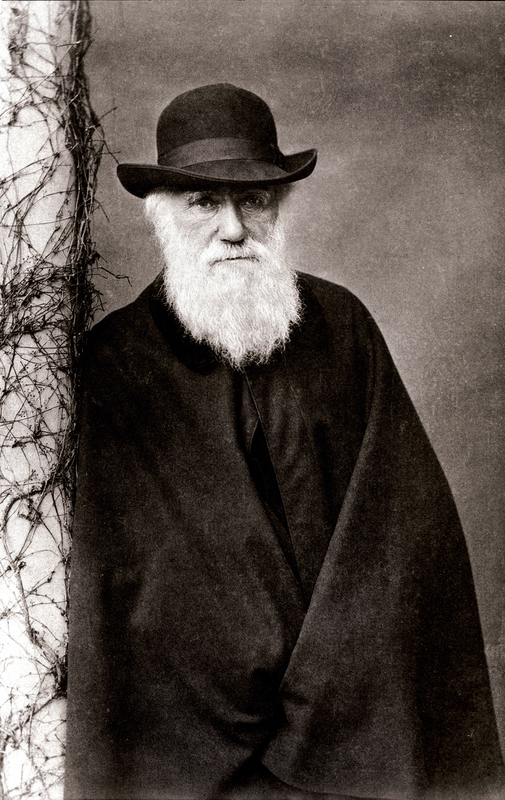 Because DNA was unknown in Darwin’s day, he and his contemporaries could only speculate about the mechanics of how traits are passed on or how new traits develop biologically. As we know now, random genetic mutations can result in new functions or traits. It is also the case that large sections of a chromosome are sometimes duplicated, introducing extra copies of a gene into a genome. Moreover, an organism’s entire genome can be duplicated during an abnormal cell division. When this special kind of DNA mutation happens, it is called a whole genome duplication event or polyploidy. Most organisms are normally diploid, meaning they have two sets of chromosomes, one set inherited from each parent. Polyploidy is the heritable condition of possessing more than two complete sets of chromosomes. Polyploidy is rare among mammals, common among certain groups of fish and amphibians, and ubiquitous among flowering plants. When a whole-genome duplication event does not result in either immediate death (usually the case for higher vertebrates) or subsequent extinction (which otherwise seems to happen as often as not), it provides additional building blocks for evolutionary change and may confer some advantages upon the polyploid organism. The redundancy in genetic material means that the genes are freer to diversify their functions over time. Having a whole-genome duplicate is sort of like getting an extra set of Legos: To make something new you need not take apart the structures you’ve already built. Should one gene in the pair mutate and acquire a new function or stop working altogether, the other copy continues its original function. Extra copies of genes that are not required for normal organism function might end up acquiring new and entirely different functions, leading to new opportunities in evolutionary selection. Analysis of the the Amborella genome has revealed that an ancient whole duplication event occurred in the earliest history of angiosperm evolution, and scientists are now working to understand precisely how this paleopolyploidy event may have set off the explosive diversification among flowering plants 130 million years ago. Furthermore, researchers are assessing whether subsequent genome-wide duplications in angiosperm history may have spurred adaptive radiations within the most species-rich angiosperm lineages. Again, having the Amborella genome sequence as a reference point helps clarify the timing and consequences of paleopolyploidy throughout angiosperm history. Duarte, Jill M., et al. “Utility of Amborella trichopoda and Nuphar advena expressed sequence tags for comparative sequence analysis.” Taxon 57(4) November 2008: 1110-1122. Soltis, Douglas, et al. “The Amborella genome: an evolutionary reference for plant biology.” Genome Biology 2088, 9:402. Zhang, Jianzhi. “Evolution by gene duplication: an update.” Trends in Ecology and Evolution. 18(6) June 2003. Zuccolo, Andrea, et al. “A physical map for the Amborella trichopoda genome sheds light on the evolution of angiosperm genome structure. Genome Biology 2011, 12:R48.